There are many different kinds of biometric identifiers used in security settings. They can use somebody’s physical, psychological or even vocal characteristics to identify them. Every type of biometric technology used in security settings has a different setting in which it shines and is applied differently from any other biometric identifiers. If the establishment in which is employing the biometric technology needs people to move through the security quickly, it will be using some kind of biometric identifier that takes a short amount of time to identify confirm the person in question. A lot of it comes down to ease-of-use and time required to identify the person. Fingerprint recognition is the most commonly used and one of the most known forms of biometric identifiers. It is the most commercially available biometric security and is often found on safes. It is exactly what you probably think it is, you just simply scan your fingerprint and then whatever you are trying to open or pass through allows/opens for you if your fingerprint is in the database and authorized. Of course, anything that is available in cheaper models is always able to be hacked and messed with. 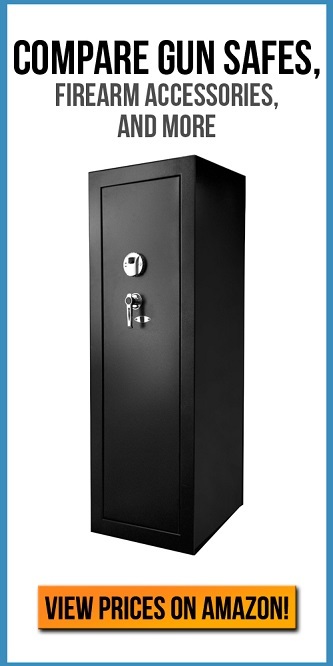 This can create problems for people who cheap out on the purchases and don’t take proper care of their safes. We strongly suggest that you read our other articles about biometric technologies here. Enrollment is simply scanning your finger and presenting your fingerprint to the machine. Searching is when the biometric scanner will run through the database of saved fingerprints and look for your specific fingerprint. Verification is if it does find your fingerprint and finds your fingerprint is one with authorization to access the safe in question, you will be granted access. This process is made easy by using the similar characteristics amongst human fingerprints. Fingerprint recognition is the main way identification is used by biometric scanners that are implemented into gun safes. This form of biometric technology is one that uses a human’s eye to identify them and verify that you do in fact have authorized access to whatever you may be trying to get inside. While this may be considered one of the most effective biometric identifiers, it is also one of the most controversial. This is because people may feel weirded out by a machine identifying them using their eyes. It could be exploited by people with bad intentions. It was originally proposed in 1953 by a man named F.H. Adler. He described the iris of every single human as an extremely unique characteristic and proposed that eyes should be used as a way to verify somebody’s identity. However, it wasn’t until 1994 that there was an actual technology developed and patented. This biometric technology is applied by first identifying the inner and outer boundaries of the iris in an image of an eye. After this through on-the-fly editing, the software removes the person’s eyelids and eyelashes from the picture. This results in only the iris coming through in the picture, and it allows the technology or software to confirm and verify the person in question. Due to the eye being a heavily protected organ, it is said to be one of the best ways to identify a person because the structure of an I will not change very much over the course of some of his lifetime. Fingerprints, for example, can wear down or changed after years of something like manual labor or anything else they can physically damage a finger. The chance of the identification process being wrong in verifying somebody’s identity is very low. This is due to the formation of the textures that come into play during the verification process. You will probably not be able to get your hands on any kind of biometric technology other than fingerprint scanning. Every other biometric identifier other than fingerprint scanning is extremely expensive. The places where the biometric identifiers that are not fingerprint scanning are being deployed being deployed is in Government establishments and billion-dollar companies. Think places like the White House in Washington, DC. Or places like airports where security measures are very strict.